What Sets The Values In Canyon Road Towers? What Sets The Values In Canyon Road Towers? This question is relevant to most condominiums, especially high rise condominiums.Values In Canyon Road Towers is an important topic. 1- The common real estate phrase is location – location – location, I insert view -view – view. That definitely applies to condos. 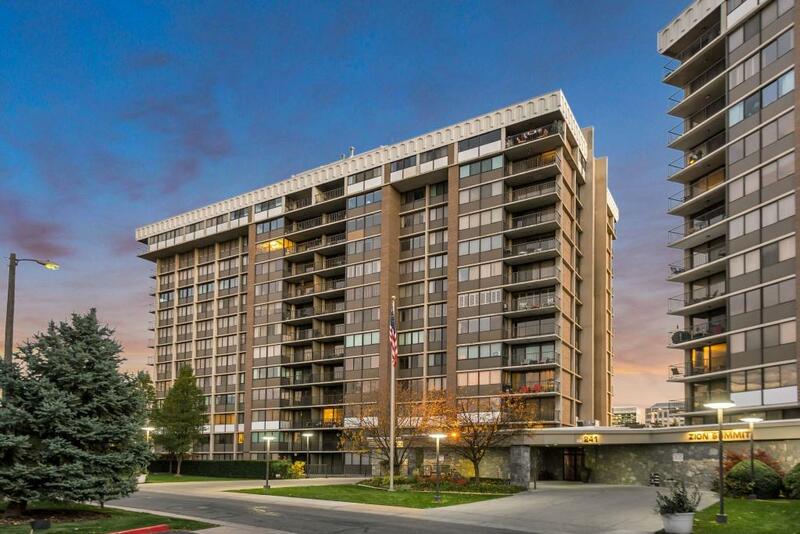 Condominiums in downtown Salt Lake City go for more than a similar condo away from town. Location is applicable within Canyon Road Towers. It is one of four factors that affect values. Units in Canyon Road Towers fact North, South, and West. There are corner units, some fast two directions as well. To the South the view is of the city. To the West the view is to parks, the west city, and Temple Square. To the North is to the Capitol. Most people feel the North view is the least desirable. I might say that this is a similar paradigm to Zion Summit regarding view. The better the view, the more it will cost. 2- Condition is a big issue. Canyon Road Towers, and again also, Zion Summit were built in 1976. The word for many units is DATED. Old looking kitchen cabinet are a yuk. Re-facing the originals, not a great upgrade. As of this writing a condo is on the market that is in the best condition of any to be sold in the last few years. It’s asking price is $317,500 (unit 813 listing # 1505034) . Click here for Canyon Road Towers Listing. This link will take you to all current Canyon Road Towers units on the market. It will show up in this link as long as it is for sale. The interior photos will help you get the point on the condition. Note: it might be hard to discern between the common area photos and those of the condo. This unit is likely to sell close to its asking price because of the condition. To compare, a similar unit sold for $235,000 18 months ago. (same view and same floor plan. Yes it was 8 months ago, but the difference in condition was significant. 3- Size of kitchen. This as well as numerous units in Canyon Road Towers have the narrow galley kitchen. Not every buyer will accept that. The photos provided kind of downplay the galley look. 4- Size of unit. I showed listing #1505034 to a couple who have been tracking every condo for sale in Canyon Road Towers for about a year. Finally they loved the condition of the condo. After an hour in viewing the unit they decided that it was too small. There are basically 4 floor plans in Canyon Road Towers. The majority are 2 bedrooms. All have at least that and all have two bathrooms. The value in the larger units is significant. I am a large producing condo agent for both buyers and sellers. My website shows 20 example listing for sale and past sales. I am familiar with almost every condo property in Salt Lake City. I strive to be the type of non pushy, expert, and full service agent. I will be glad to assist you with any questions that you may have. 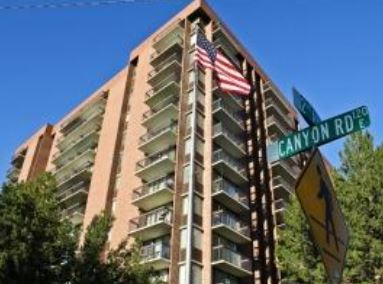 To all Canyon Road Towers current listings, click here.